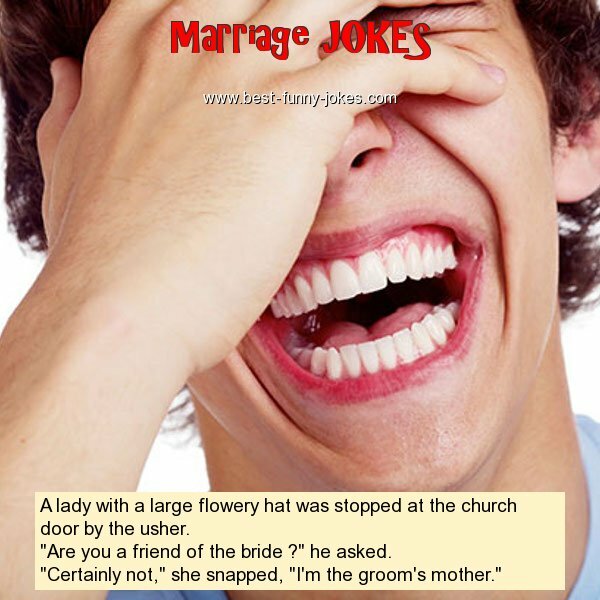 A lady with a large flowery hat was stopped at the church door by the usher. "Are you a friend of the bride ?" he asked. "Certainly not," she snapped, "I'm the groom's mother."